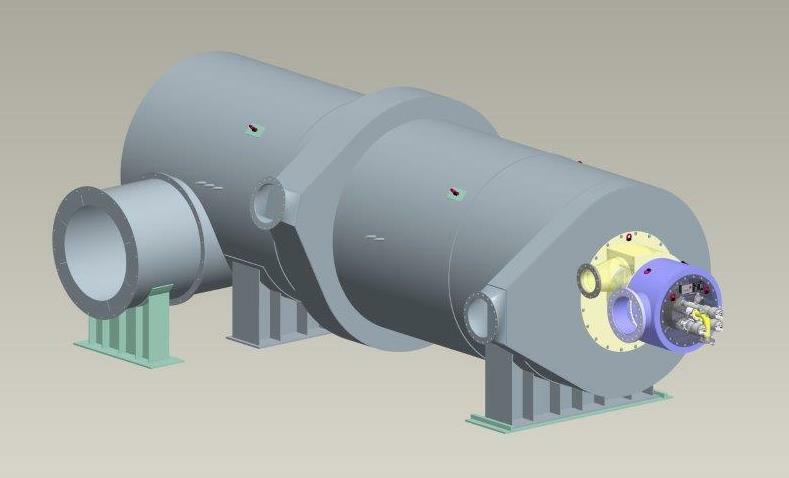 In early January, Fives was awarded an order from Outotec Energy Products for the supply of three Enhanced All-Dry (EADTM) dry scrubbing systems. 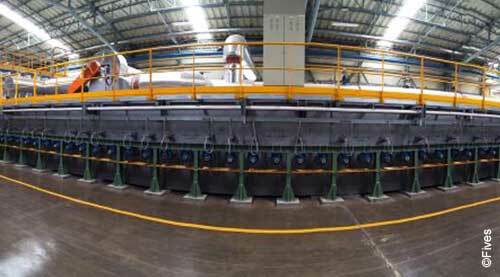 Fives and Beihai Chengde Ferronickel Stainless Steel Co., a subsidiary of China’s Chengde Group, successfully commissioned three rolling mills for stainless steel production at the company’s facility in Beibu Gulf, China. Xinyi Group, one of China's top glass manufacturers, is building a major glass production plant in Malaysia as part of the Chinese government's “One belt and one road” strategic plan. 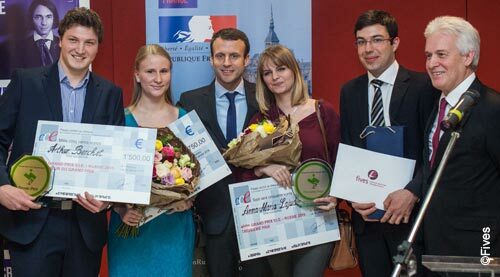 On January 24, 2016, Emmanuel Macron, France’s Minister of Economy, Industry and Digital Affairs, presented the 4th "Grand Prix VIE* Russia 2015" during a ceremony held at the French Embassy in Moscow, Russia, and attended by the local French community. Aiming to add value to their final products and maximize profit, the steelmakers place orders to Fives for revamping and engineering services. 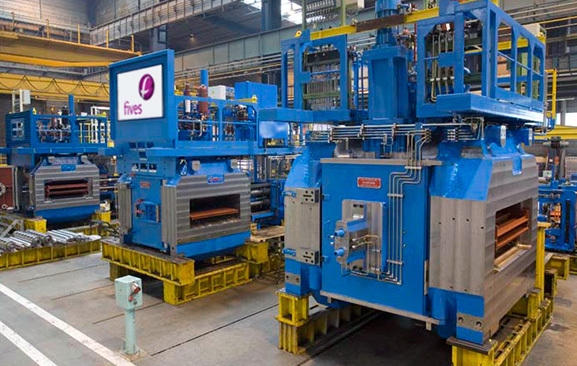 At the beginning of January 2015, Emirates Global Aluminium (EGA) awarded Fives Solios SA a turnkey contract for the supply of one Xelios and an anode cooling tunnel, as part of revamping line 2 of the Green Anode Plant at EGA Jebel Ali Operations, Dubai. 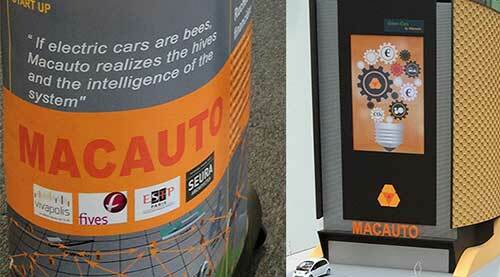 Fives is associated with the company MACAUTO for the supply of industrial "Hives"
Fives is associated with the company MACAUTO for the supply of industrial "Hives" for storage and recharging of electric cars. 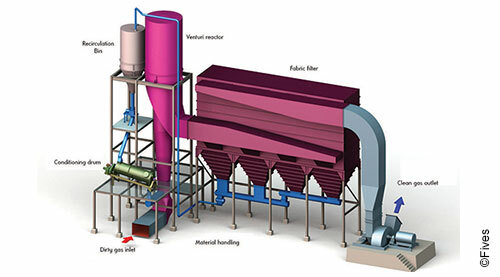 Fives was recently awarded a contract to supply Total with a Pillard LowCaloryFlam burner and a combustion chamber as part of the “Total Bio TFuel” project on Mardyck site, in Dunkerque, France. Fives has been awarded a rating of 71/100 by EcoVadis for its CSR performance, placing it in the top 2% of businesses assessed (out of the total of 20,000 companies evaluated in 2015). 2015:An innovative year at Fives! 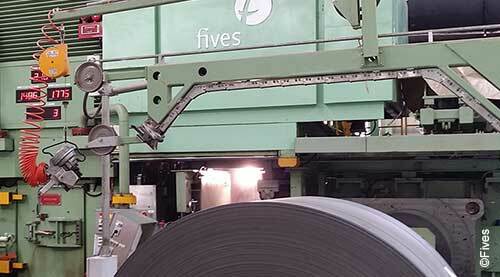 Fives places innovation at the heart of its growth strategy. 2015 was rich in innovation at Fives: partnerships, eco-design, the Fives Plants of the Future Observatory... Let's take a look back at the Group's key innovations over the course of 2015!